Everybody loves to party but not everybody likes to go out. The obvious solution is to put the rave experience on a gaming device, which is how you end up with a game like Partymasters for PC. 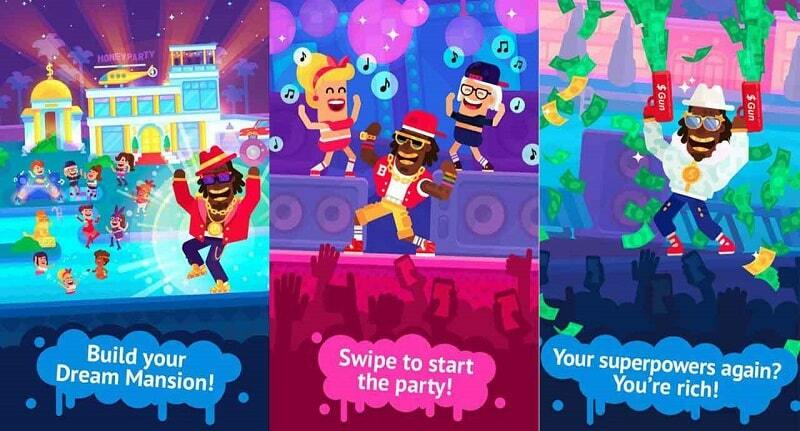 Partymasters does a brilliant job of recreating the party vibe from Playgendary. The music makes this happen by providing a great atmosphere that makes you want to boogie while you play. The music is a lot of fun however it has the same track playing over and over again so you might get bored of it even if it is catchy. The scenary is another element which makes for a good party and this provided in Partymasters with fun and vibrant graphics. The party will take you from a house to the main stage where partygoers are revelling in delight. The way that the patrons are dressed and the way that they move are hilarious to watch and join in on. What kind of a party would it be if you didn’t have the option of choosing your dress? You can change the main character’s outfit to suit the rave or your own personal preference. Watching them do their thing In their fancy dress will definitely give you a lot to laugh at. No special gaming skills or lightning-fast reflexes are required to play this game therefore anybody can play it. All that you have to do is tap on the screen however the faster you tap, the more rewards you earn. The only drawback to this model is that your fingers might get tired after playing for extended periods. There is not much variety to gameplay because there are no side-missions or other objectives so the only thing keeping the game from becoming too monotonous is the option to change clothes and accessories or move on to a fancier venue. Such simple mechanics make things great by providing the player with a game that helps to pass the time. 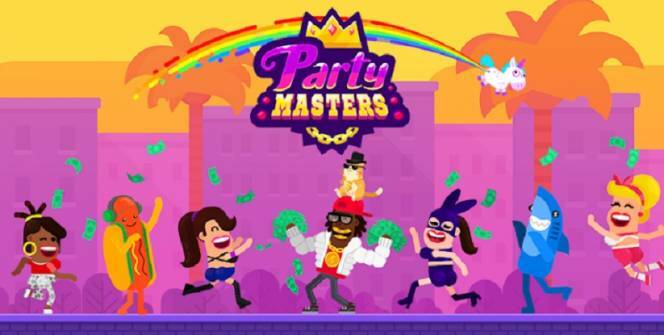 Partymasters is a free game that everyone can enjoy. Despite the lack of variety when it comes to gameplay, the music and the graphics are well thought out and will keep you entertained for extended periods of time. Gameplay gets repetitive rather fast so you’ll want to space out how often you play. If you miss the fun graphics and silly dance moves then doing the same thing over and over can be overlooked. The biggest problem with this game is the sheer volume of pop-up advertisements. They are overwhelming and appear ever minute or so which makes it hard to concentrate on the game. In what is becoming a popular choice among mobile games, you can pay to remove the ads entirely but that it is a high price to pay. Partymasters for PC is a great way to wile away a couple of minutes while you wait for something more important to do. The ads are annoying but the music and graphics kind of make up for them. In-app purchases are available however you can still enjoy the game without having to make any purchases. Sometimes when playing Partymasters, bluestacks ask you fee to pay but gives you option to download some apps. Every time it asks you just select “Install apps” and continue using it free. I hope you enjoyed this article, please rate and share. If you have problems running Partymasters on your desktop or any other issues, leave a comment below.